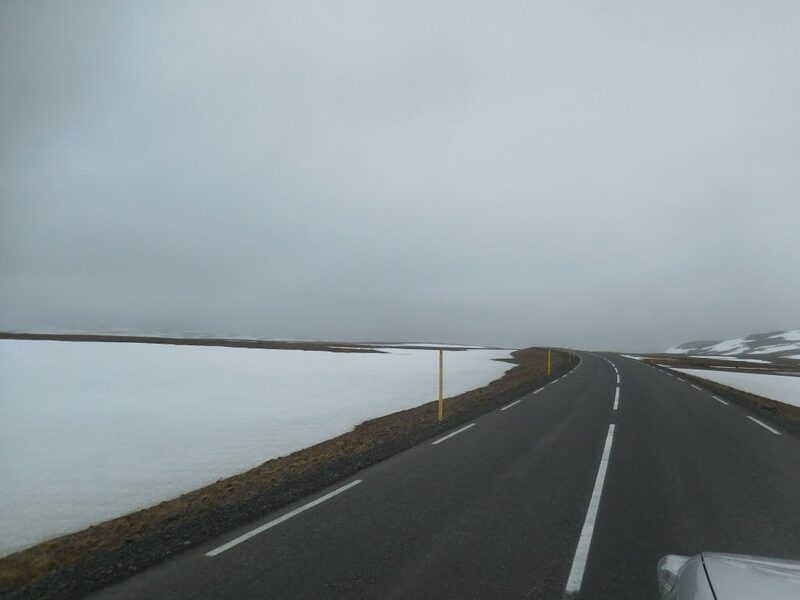 Isafjordur to Stadur along roads 61 and 68. On this route you can find the Arctic Fox Center (http://www.melrakki.is/home/), where you can have a glimpse on their world. Sadly we had no time for an excursion to see Arctic Foxes in the wilderness (next time?). It is a paved road, but still it is time and energy consuming. Many fjords that will eventually meet the northernmost peninsula: where the Hornstrandir Nature reserve is located. This long road requires a few stops to clear the mind. We explored Mjoifjordur, finding many birds on the south. Here I took off with a remote controlled moto-glider (in order to keep a low noise) and soon I had to land. Too many birds on my pursuit. We ate lunch on road 635, where we made a tiny detour (just a few kilometers) to take some pictures of the fjord. From this point road 61 climbs on a plateau full of lakes. Here we found a lot of snow and ice sorrounding our way. Another deviation decided on the road was the 645 to Drangsnes and sorroundings. It does not take a long time and it allows you to take some memorable photos. Here Arctic Terns attacked us for the first time this year. After Holmavik we headed south, along route 68.